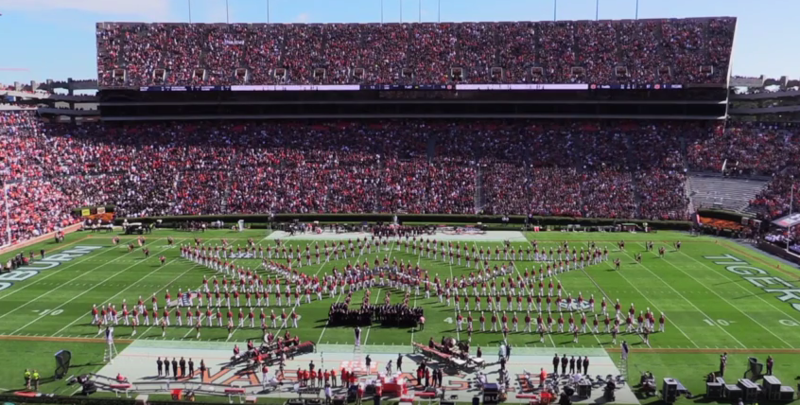 The Auburn Marching Band has really stepped up their production of halftime shows from a video perspective. They have incorporated multiple cameras giving fans a unique look at halftime from the field to the press box. Watch as they salute our veterans and branches of the military in their 2016 patriotic show that is sure to inspire you. The end of the show uses trumpeters stationed around the stadium playing taps and a full choir on the field. It's amazing.